JCVI's Hamilton O. Smith, MD has been recognized by Johns Hopkins University with a research award in his honor. The inaugural recipient of the award is Jie Xiao, an associate professor of biophysics and biophysical chemistry at the Johns Hopkins University School of Medicine. 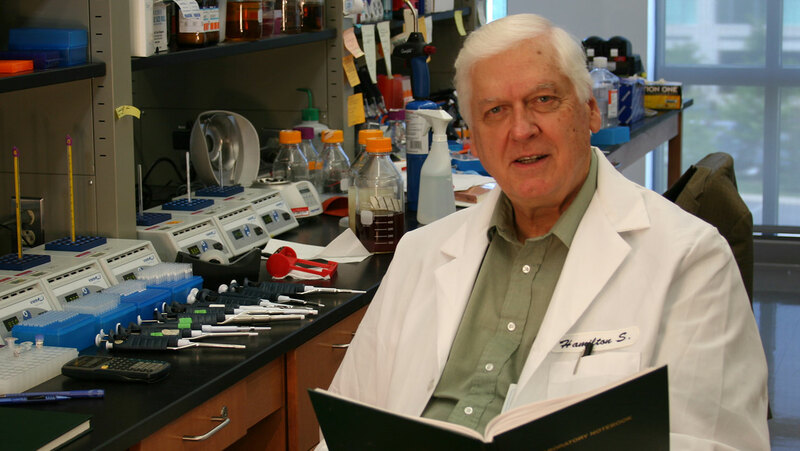 Dr. Smith was awarded the Nobel Prize in 1978 for his discovery of restriction enzymes, work he conducted while he was a young faculty member at Johns Hopkins.